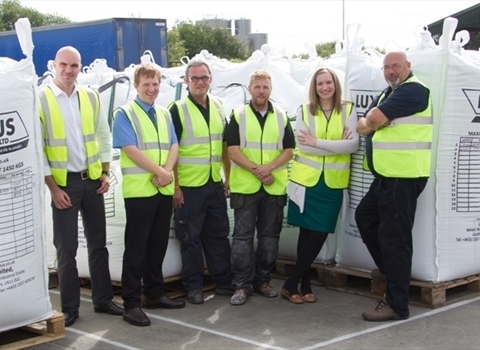 Whilst Luxus realises the need to call upon state-of-the-art technical compounding and recycling technology in its manufacturing facilities to enable the production of high quality compounds, we equally value our people and are committed to investing in developing their careers. As such, we are able to offer challenging and rewarding opportunites at every level of ability and a workplace in which individuals can genuinely fulfil their potential. Our modern Head Office nestles on the edge of the picturesque Lincolnshire Wolds and is home to a dedicated and extremely loyal workforce. Almost one third of our team have been with us for more than a decade and we have taken time to carefully instill a culture that encourages teamwork, continuous improvement and excellence. We also believe in the value of training and have forged close links with vocational schemes to offer exceptional employment opportunities for young local people. The Luxus Apprenticeship Scheme and Luxus Academy meanwhile have been established to attract and nurture young talent that can help support our future success. To apply for any of the positions listed below or to join our Apprenticeship Scheme or Academy, please complete the simple form.